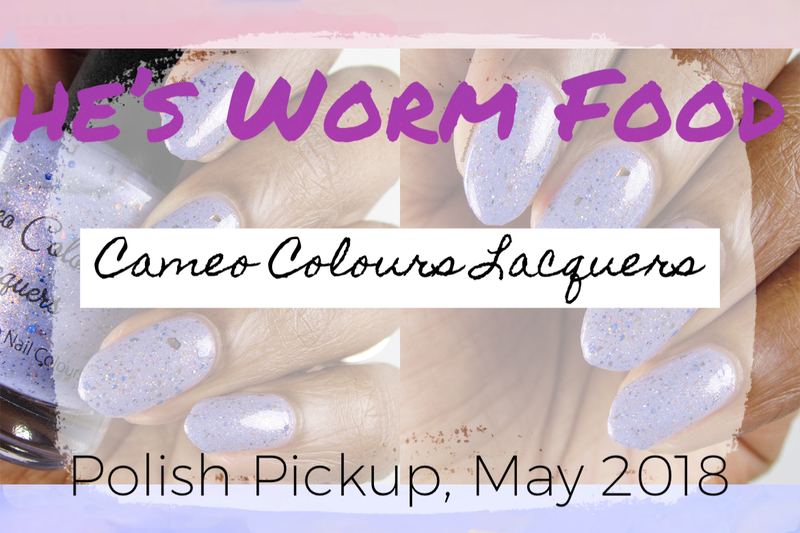 Cameo Colour’s Lacquers is taking on Beavis and Butthead for this round of the Polish Pickup! This was a show that I caught on the rare occasion, but I do remember their very strange laugh which of course I had to annoyingly mimic. The 90’s pop culture theme is stirring a lot of great memories and it’s great to now align these to polishes. I was inspired enough by this one to do some Beavis nail art! 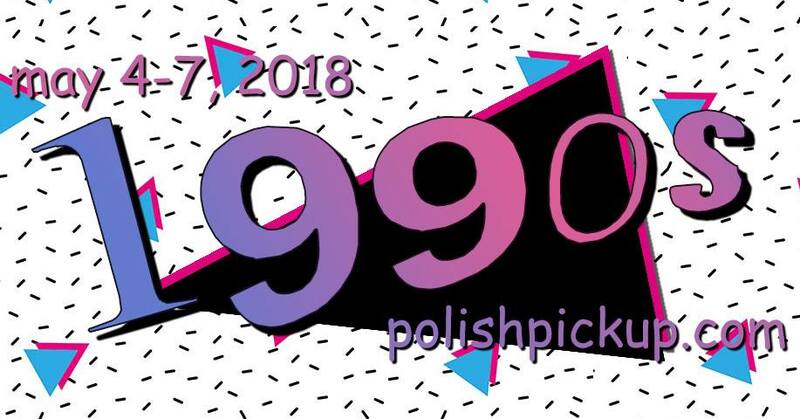 Before we get into what Cameo has created for us, let’s get a quick recap of what Polish Pickup is all about. First off, how absolutely pretty is this polish! Not at all what one would expect with a name “He’s Worm Food, but I ain’t mad! With Cameo, you know you can always expect her to work her magic with a variety of elements delicately intertwined to make a remarkably, well-balanced beauty. 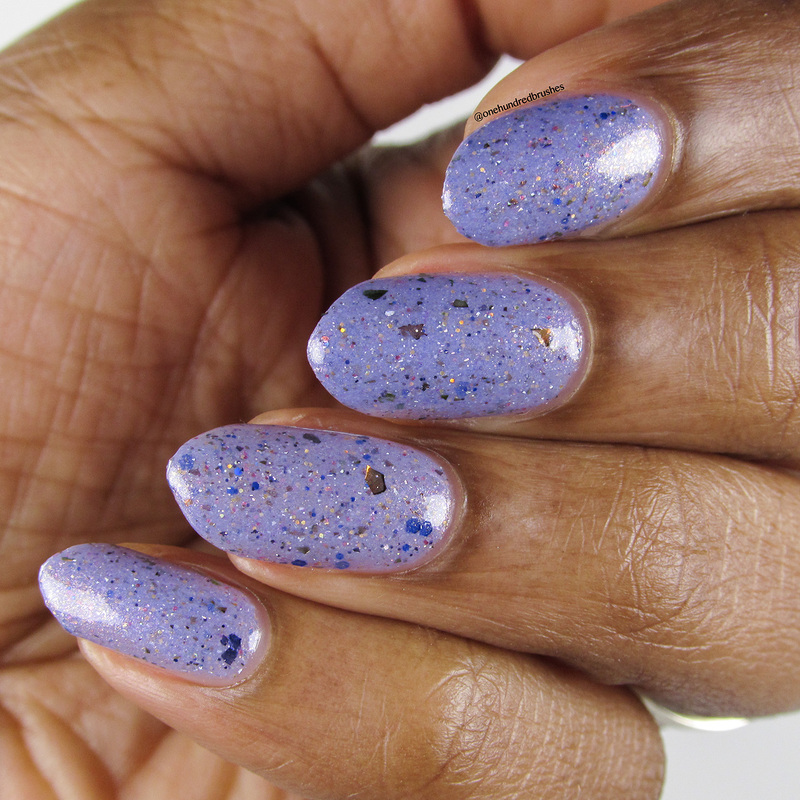 The base of this polish is a pastel blurple (blue-purple) with a mixing of UCC flakes that shift from copper to gold to fuschia and blue to violet to copper. 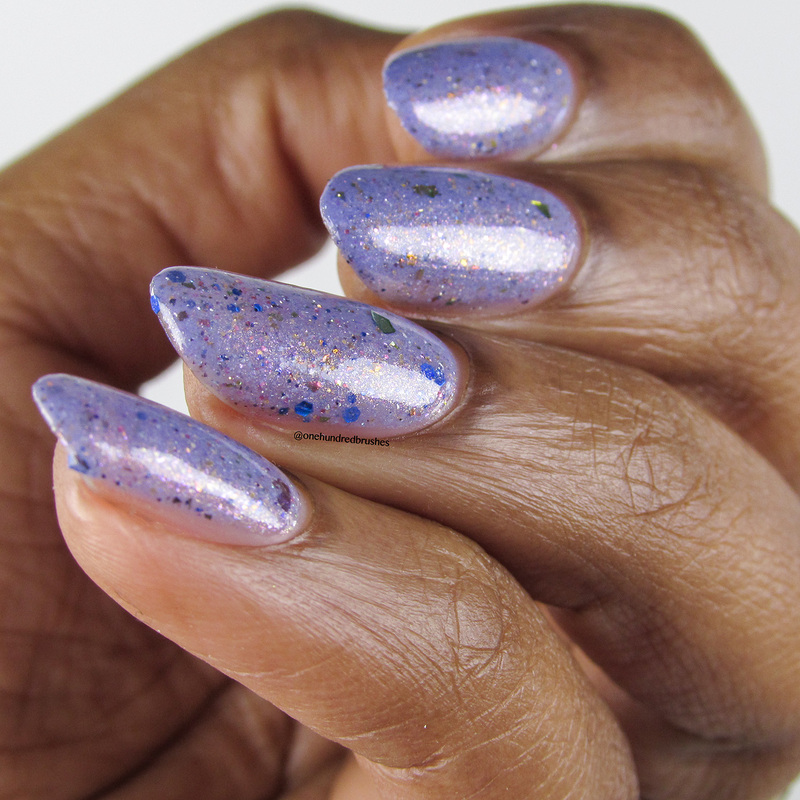 We can also spot hot pink, deep violet and gold micro flakes, silver and gold holographic micro glitter, a touch of pink and red to blue to purple shifting micro glitters. Also seen are a touch of multi-size navy holo glitters and silver holo micro flakes. Rounding this all up is a packing of shimmer in gold, pink, and violet! The application was without incident. The polish does dry slightly textured, so a good glossy top coat is recommended even if you decide to mattify it afterward. I’m wearing three thinner coats with a glossy top coat. 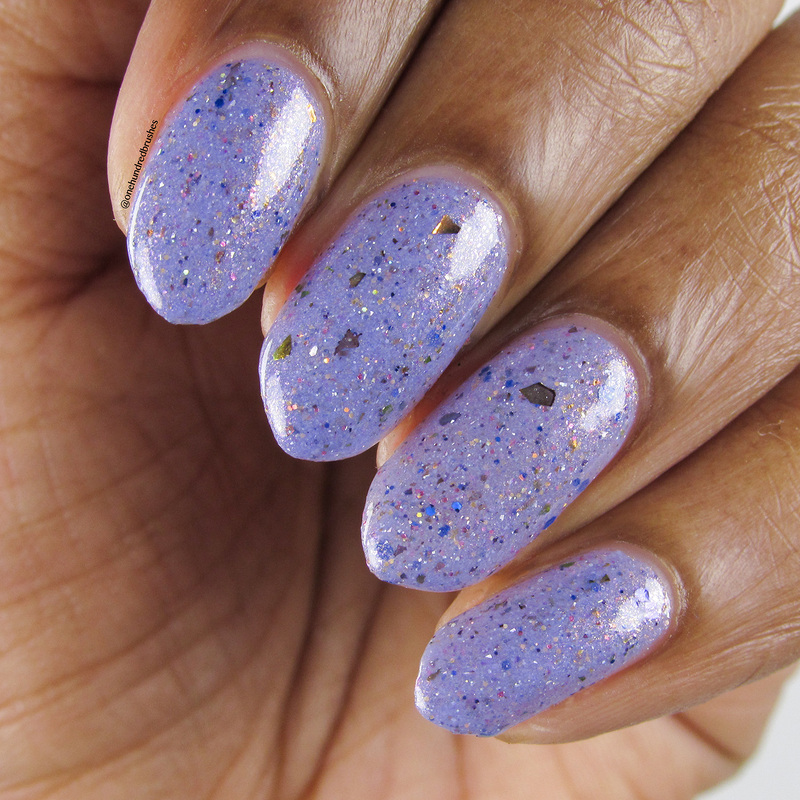 This polish on its own epitomizes Spring to me! Look at all that color! Unfortunately, due to copyright restrictions, I’m unable to share Cameo’s inspiration image on this blog. 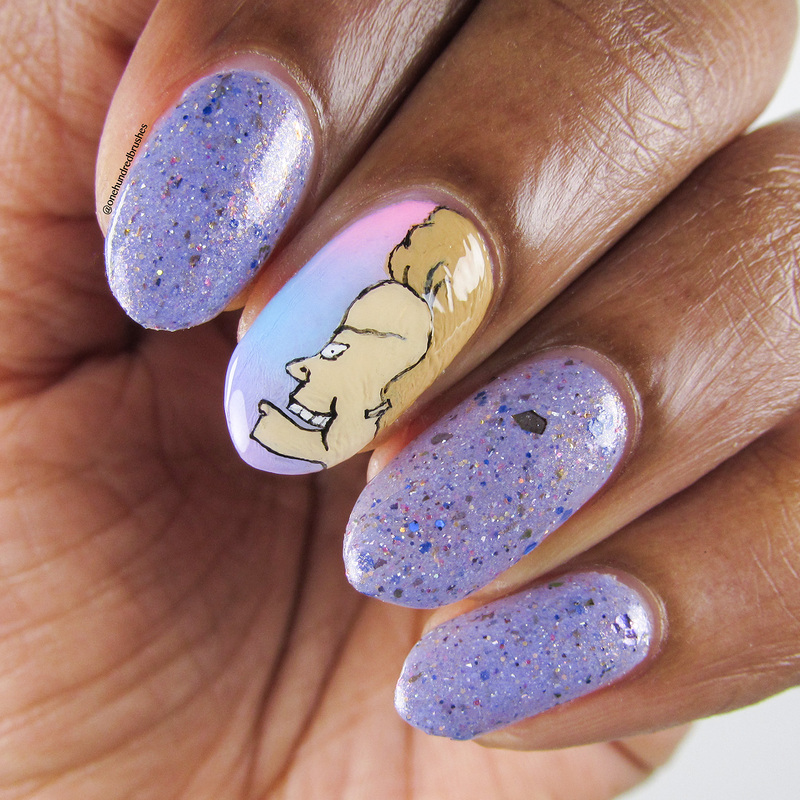 Nevertheless, the image inspired me to attempt some nail art; I just couldn’t resist painting Beavis! Its been a while since I painted like this, which quickly reminded me that I’m way (two years) past due for my annual eye exam. 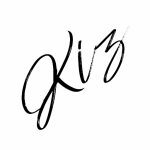 I had such a good time settling into it! 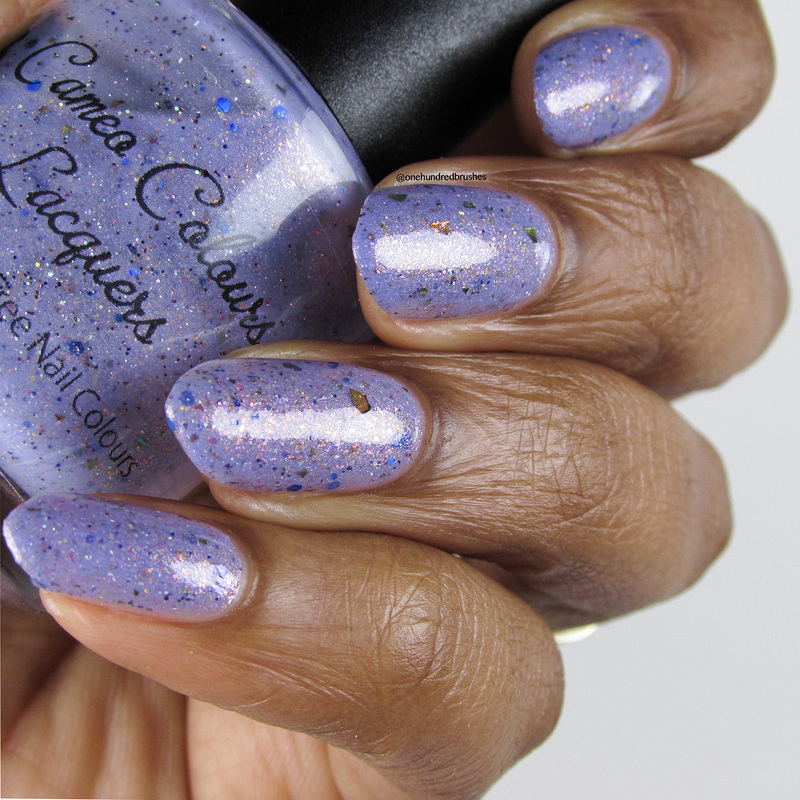 For a live swatch of Cameo’s polish and other items available this round of Polish Pickup, don’t miss Delanie of Fat Cat Pawlished‘s live events on Facebook! Did you watch Beavis & Butthead? What do you hope to grab this round of PPU?